Covington Louisiana Wrongful Death FAQ | Grady J Flattmann, Attorneys at Law LLC Gayle C.
How can I prove negligence was the cause of my husband’s fatal truck accident? Who is liable when a defective crib killed my baby? 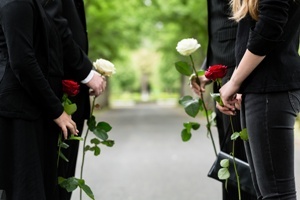 Who can file a wrongful death claim in Louisiana? Our attorney provides detailed answers to questions like these and many more in our wrongful death FAQ.